Love Your Pets. Brush Their Teeth. 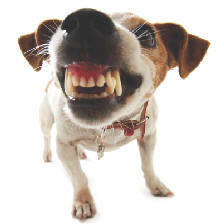 Caring for pets’ teeth is a mystery for many pet owners. In reality, our little furry friends’ dental issues are really quite similar to ours. Like people, dogs and cats have two sets of teeth. The initial smaller set, called deciduous teeth, includes incisors, canines, and premolars. As the puppy or kitten grows, the permanent teeth push their way out. The “baby” teeth roots absorb, causing the teeth to fall out. To fill in the void in the back of the now larger adolescent jaws, an additional set of teeth, the molars, emerge. In dogs, this entire transition is usually complete by 5-7 months of age, with a total of 42 adult teeth. Cats generally grow in their 30 adult teeth by 5-6 months. Pet oral care is an important opportunity to provide preventive care at home. Granted, some pets simply will not tolerate us near their mouths. Be patient and, more importantly, be safe. Allow a veterinary staff member to show you the best way to handle your pet. A daily two minute brushing will significantly reduce the plaque and tarter build-up in your dog or cat’s mouth. With gradual, gentle introduction of the brush and toothpaste over several weeks, many dogs, and even some cats, will allow some brushing and/or oral rinsing. Use only dog and cat toothpaste that does not contain fluoride. Pet toothpastes are available in several palatable flavors. Treat your pet’s teeth like your own. Prevention of oral disease will help the overall health and well-being of your dogs and cats. Starting next month we will start to feature pets from some FUNtastic pet owners. Those FUNtastic pet owners are Dr. Stella’s FUNtastic Dental & Orthodontics team members. 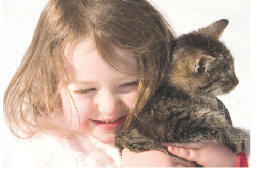 Look for our FUNtastic Pets section starting next month. And please pass this article on to all pet owners because pet dental health is important for overall health! Have you ever wondered why your mouth makes spit? Well, saliva, more commonly known as “spit”, is actually very important for healthy teeth. The liquid in your mouth is called saliva, or spit. Healthy Saliva is pH neutral, or slightly alkaline. 1) Lubrication of the mouth, tongue, and teeth. 3) Digestion of carbohydrates, which includes bread, pasta, and even cookies! 4) Neutralization of acid caused by plaque bacteria. 5) Remineralization, which restores tooth enamel. The amount of prospective saliva in the mouth decreases at night. This is why, brushing well before bed is especially important! **This very interesting and informative article was brought to us by our very own Nicole Pelc. She is a very smart, articulate young lady who joined our team about 1 year ago and is pursuing a career as a Hygienist. Thank you Nicole for this FUNtastic piece. If you want to thank Nicole or ask her more about “spit”, you can email her at FrontOffice1@FUNtasticDental.com. Do You Want Another Reason to Wear Sunscreen? Cold sores, also known as fever blisters, are small, painful blisters that usually rupture spontaneously after 3 or 4 days, leaving behind a raw, open sore. Although they result from infection with the herpes simplex virus, not all people who have the virus develop cold sores. Exposure to ultraviolet radiation from the sun, stress, illness and dental work are just a few of the recognized triggers for cold sores, according to the Academy of General Dentistry. While some (like stress, illness and dental work) are unavoidable, wearing sunscreen reduces your risk of cold sores caused by ultraviolet radiation. To prevent cold sores, you may wish to use a combination of cream or lotion sunscreen on your face, followed by lip balm on your lips. You should apply sunscreen a few minutes before you step into the sun, so that it has time to absorb into your skin. The National Institutes of Health’s MedlinePlus website recommends reapplying every 2 hours that you spend in the sun, or every 80 minutes if you are in water or perspiring heavily. Although sunscreens come in strengths — called sun protection factor or SPF — up to 30, Dr. Stella recommends consulting with a doctor or pharmacist to determine your individual needs. Hey Teens! Before dropping off your first application for a summer job, you should first stop and define what the perfect summer job for you would be.Would love to spend the summer working at a camp? or Would you be content setting up your own business? Make sure you define what you would love to do before you start applying for jobs. What is the minimum pay you’re looking for? Do you want to work inside or outside? How far can you work from home? Do you want to work days, nights, or weekends? Do you have any other summer events that will conflict with a job? The obvious reason to work in a field of that you think you would love is so you can get to play the profession – do you like the job as much as you had anticipated? What parts of the job do you enjoy and what don’t you like? Good Luck out there this summer and remember to always consult with your parents about any job openings you are considering. Share Your Child’s Smile With The World! Referrals and word-of-mouth recommendations are our #1 source of new patients. In fact, one of the best compliments we can receive from our patients is the referral of one of your friends, colleagues or family members. When you give us a good reference, we will ensure that the person you refer receives special attention and the finest service possible. Our extensive dental training and experience allows us to understand and treat a wide range of oral health needs. From preventing dental disease to patient education and treatment using modern dental techniques and technology, we’re your qualified smile provider! Whether you’re looking to maintain your child’s healthy smile or to straighten it up with orthodontic options, we will be happy to give you all the information you need in order to make informed and confident decisions. Kimberly Alvarado, Miguie Aquino, Zane Armstrong, Max & Sam Bass, Darren Burke, Joshua Carbajal, Chriezamae J. Cha, David Cisneros, Jane Comfort, Noah Diaz, Donirvin Dickerson, Alice Eskander, Julianna Estrada, Dominique Ford, Mary Frank, Makena Fullen, Amelia Garbiero, Bruce Garcia, Carlo Garcia, Kaleb Garcia, Cameron Graham, Carissa Graham, Garfield Graham Jr., Metztli Gutierrez, Neekan Hakimi, Eloise & Joe Hamby, Weston Hayward, Lance Hemphill, Antennellia Johnson, Benjamin Jung, Kaiden & Kirk Karapogosian, Maggie Kennison, Jonas Lamb, Lucas Lin, Briana Lopez, Evan & John Michael Madrid, Alanna & Christian & Cienna Magallanes, Aedan & Aurora McKenzie, Sykoya Molina, Violet Moran, Nickolas J. Morey, Braden Mosteig, Zaniyah Mubashshir, Igdaliah Obeng, Venus Perez, Liam Pokroy, Jaydin Preciado, Emma & Noah Reynoso, Gavin Ribaya, Samantha Rivera, Andrew & Cassandra & Penelope Salazar, Sabrina Sanchez, Amanda Scott, Shahzya A. Scott Kelly, Shilah Shurki, Benedict Smith, Isabella Standlea, Evin Vanderwal, and Alex Washburn. HEY MAN! Do you have teeth too? According to surveys and studies from the Academy of General Dentistry and the American Dental Association, men are less likely than women to seek preventive dental care and often neglect their oral health for years. The average man is less likely to brush his teeth after every meal (20.5% compared with 28.7% for women). The average man is less likely to brush his teeth twice a day (49% compared with 56.8% for women). Men who have inhibited saliva flow should also ask their dentist about saliva substitutes or other alternatives to promote saliva flow. Men who use tobacco. Men who smoke or chew tobacco have a greater risk for gum disease and oral cancer. Even men who don’t use tobacco are more likely than women to have gum disease or cancer, so using tobacco increases that risk. Age is also a factor: 95% of oral cancers occur in those over 40 years of age. The most frequent oral cancer sites are the tongue, the floor of the mouth, soft palate tissues in back of the tongue, the lips and gums. If not diagnosed and treated in its early stages, oral cancer can spread, leading to chronic pain, loss of function, irreparable facial and oral disfigurement following surgery, and even death. It is important for men who use tobacco to see a dentist frequently for cleanings and to ensure their mouth remains healthy. A general dentist can perform a thorough screening for oral cancer. Men who play sports. Men who participate in sports have a greater potential for trauma to their mouths and teeth. When playing contact sports, such as football, soccer, hockey, basketball or baseball, it is important to use a mouth guard, which is a flexible appliance made of plastic that protects teeth from trauma. Men who ride bicycles or motorcycles should wear a helmet. Men should take advantage of summer vacations to visit a dentist for a complete dental exam. Please pass this on to a special man or men in your life. Share your opinion & write a review about Dr. Stella’s FUNtastic Dental & Orthodontics. We want our patients to fill these websites with their reviews about our office. It’s easy. As 1, 2, 3….